Nigeria Senate President, Bukola Saraki has directed members of Senate Ad-hoc Committee on Security to suspend recess and immediately resume sitting and, generate report in readiness for consideration as the Senate officially reconvene next week. 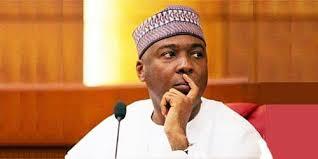 In a statement issued by Special Adviser to the Senate President (Media and Publicity) Yusuph Olaniyonu which was made available to the Media in Abuja, Wednesday, Saraki ‎said, “I believe the sad situation in Benue State shows some fundamental faults in our security system. “There is clear failure of intelligence gathering, analysis and response time. Our security agencies must be totally overhauled in terms of equipment, specialization, funding, training and staffing. “We cannot afford shedding of blood and we are already moving into the election year with the potential for the aggravation or escalation of these problems. We must decisively resolve the problem of needless blood letting”, Saraki stated.